Why eat in a restaurant when you can dine with locals? Admittedly, two of the finer things about traveling abroad are sampling the local cuisine and contracting exotic diseases meeting new people. So it makes perfect sense that a couple of start-ups have figured out a way for you to do both at the same time (! 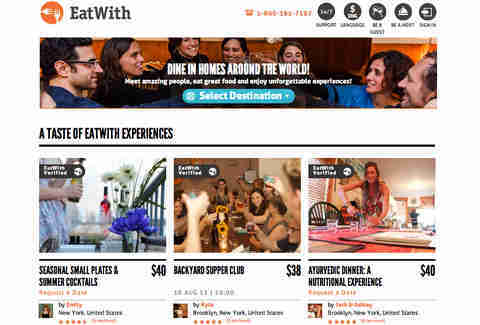 ), pairing tourists hungry for food & friends with locals willing to provide home-cooked meals to groups of complete strangers. 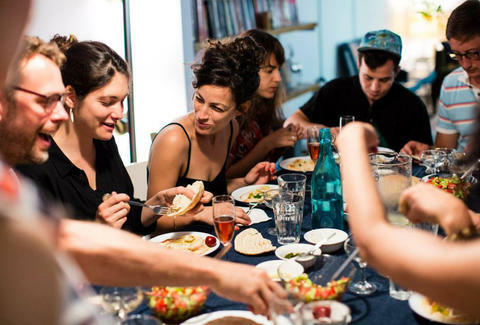 Now operating in 11 countries including Spain, Argentina, and the UK, this Israeli-based company lets travelers search for meals based on criteria like type of cuisine, experience (fit for foodies, special occasion, etc. ), and even proximity to public transportation. Hosts, who are verified ahead of time (to ensure, at the very least, that their apartment isn't caked in cat hair), set the price of the meal (which you pay at the time of booking) and then, after a brief online exchange with hopeful guests, make the final decision as to who's coming to the party. While slightly less regulated than EatWith (there's nobody from the company peeking into your abode before allowing you to host), the concept is the same at Paris-based VVD. 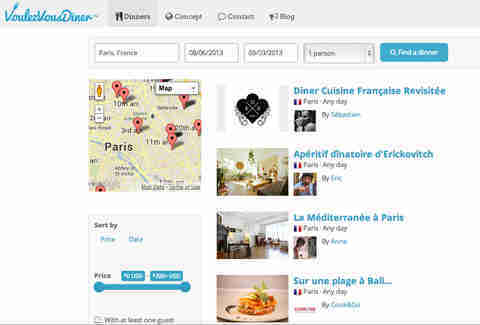 Travelers in search of native sustenance and potentially awkward/enlightening conversation search the site for available dinners in France, the US, and Canada -- sorting by price and theme ("Music", "Culture", "Organic") and reading about the host's flat -- before booking and paying for a spot online. If/when the host deems you likely to not dominate the evening's banter with stories about your recent bout with eczema, you'll be provided final details and directions.